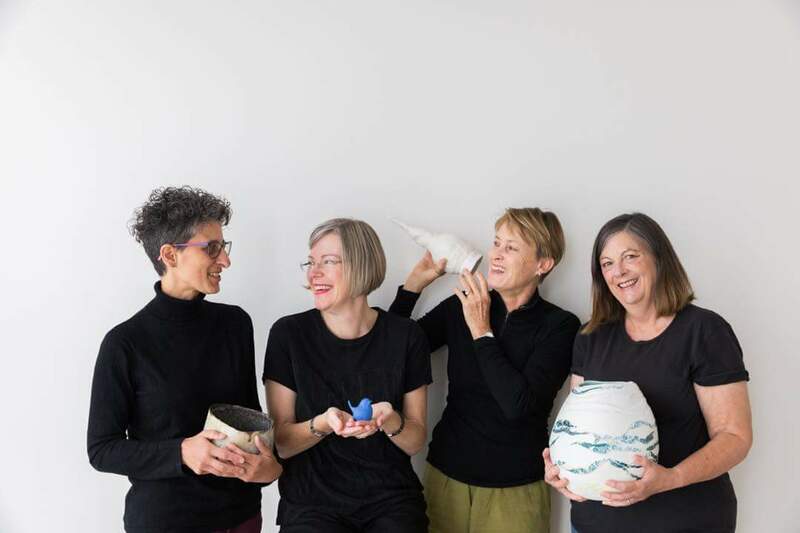 Linda Davy has shaped acoustic ceramic vessels from a variety of clays. Tim Barrass has created a soundscape for each form that is embedded inside using a MozziByte synth. Each piece is designed to transform the sounds as they flow through their tubes and chambers and out through the holes and horns, revealing resonances, reflections and filtering effects as you move your head around the object. 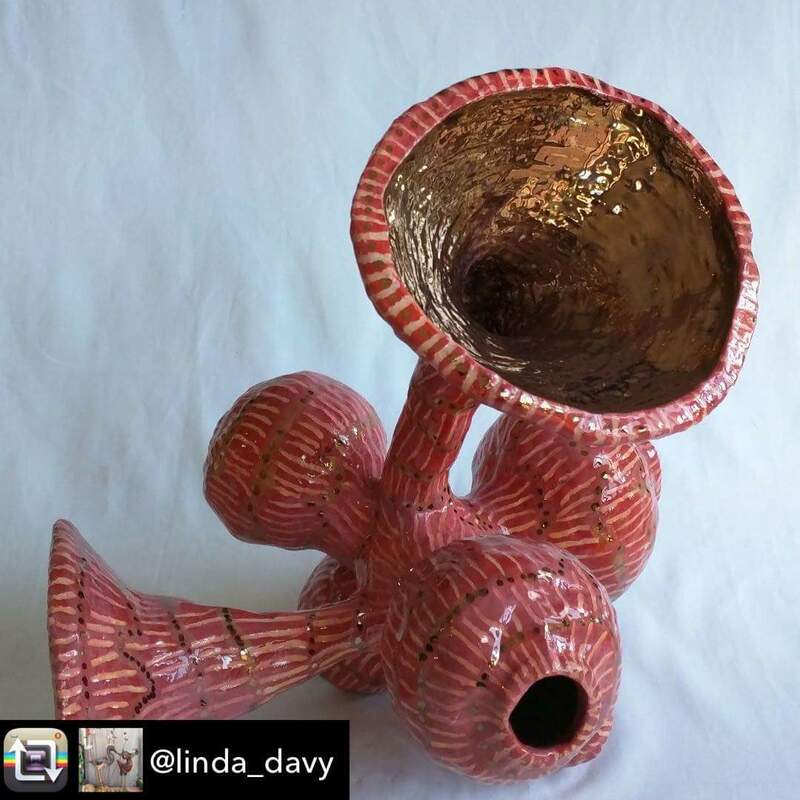 Fancy Tuber : ceramic – Linda Davy, sound – Tim Barrass. 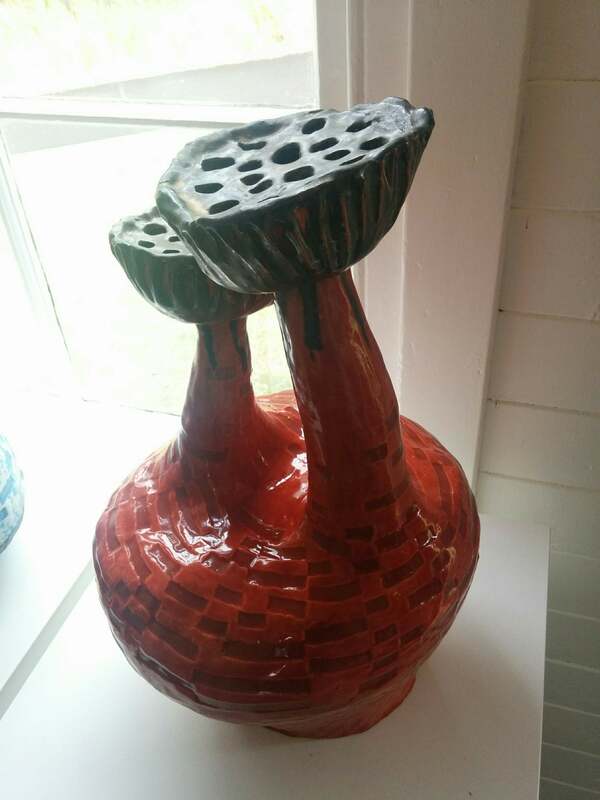 Gumnut Trumpet : ceramic – Linda Davy, sound – Tim Barrass. 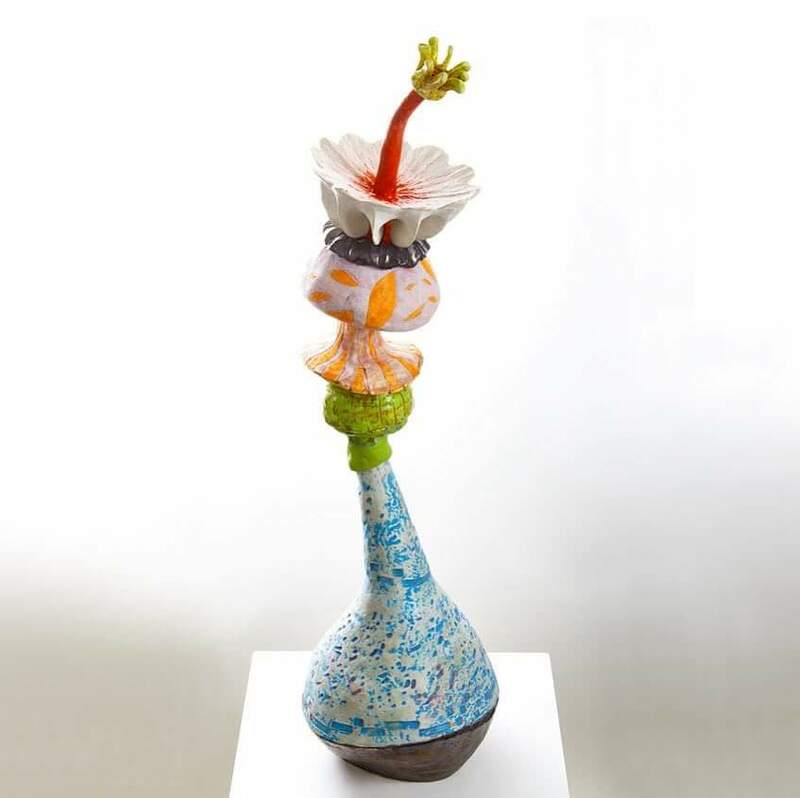 Fancy Lotus : ceramic – Linda Davy, sound by Tim Barrass. Previous Previous post: MozziByte infection imminent Worldwide !